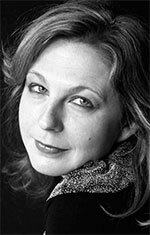 Jill Crossland studied at Chethams School of Music and the Royal Northern College of Music with Ryszard Bakst, and in Vienna with Paul Badura-Skoda and Sally Sargent. She performed the complete Well-tempered Clavier from memory as a student in Manchester and has always been closely associated with the work. Jill pursues an active concert and recording career in the UK and abroad, including regular appearances at the Wigmore Hall and South Bank in London. She is particularly known for her performances of eighteenth-century music. Jill has also played at Bridgewater Hall, Fairfield and Blackheath Halls, St George’s Bristol, the Sage Gateshead, National Concert Hall Dublin, Vienna Musikverein, Vienna Konzerthaus and Leipzig Gewandhaus and numerous performances for festivals and other venues. Jill has been a member of the Musicians in Residence scheme, supported by funding from Arts Council England. She also participates in audience development projects in her nativeYorkshire and the surrounding region. Bach’s complete Well-tempered Clavier is also available on Signum; it has been described as ‘polished and compelling’ by International Record Review, and as ‘mesmerizing’ by Fanfare magazine. Jill has made other recordings of works by Bach, Handel, Scarlatti, Rameau, Mozart and Beethoven, including Bach’s Goldberg Variations. Among many critical plaudits: ‘She well deserves her enviable reputation as a Bach pianist.’ (BBC Music Magazine) and has been called ‘a highly individual [Bach] player’ and a ‘natural Mozartean’ (Penguin Guide to CDs), her playing described as having ‘intensity and real pathos’ (International Record Review), and her Beethoven as ‘delightful’ and ‘magnetic’ by turns (American Record Guide). Jill has appeared on radio and television, including performing on BBC Radio 3 and 4 and on RTE’s Late Late Show. She has also recorded a number of film and TV soundtracks, including work for the BFI and ITV. Jill’s recordings have also featured in the Classic FM Hall of Fame.